(News from DSQVN in Indonesia) – December 1, 2015, Ambassador Extraordinary and Plenipotentiary of the Republic of Vietnam socialist in Indonesia, Dr. Hoang Anh Tuan was interviewed by Vietnam News Agency’s 60th anniversary of establishing diplomatic relations between Vietnam – Indonesia (30/12/1955 – 30/12/2015). Reporter: Dear Ambassador Hoang Anh Tuan, how he assessed the development of relations between Vietnam and Indonesia in recent years, since the two countries established diplomatic relations in 1955? 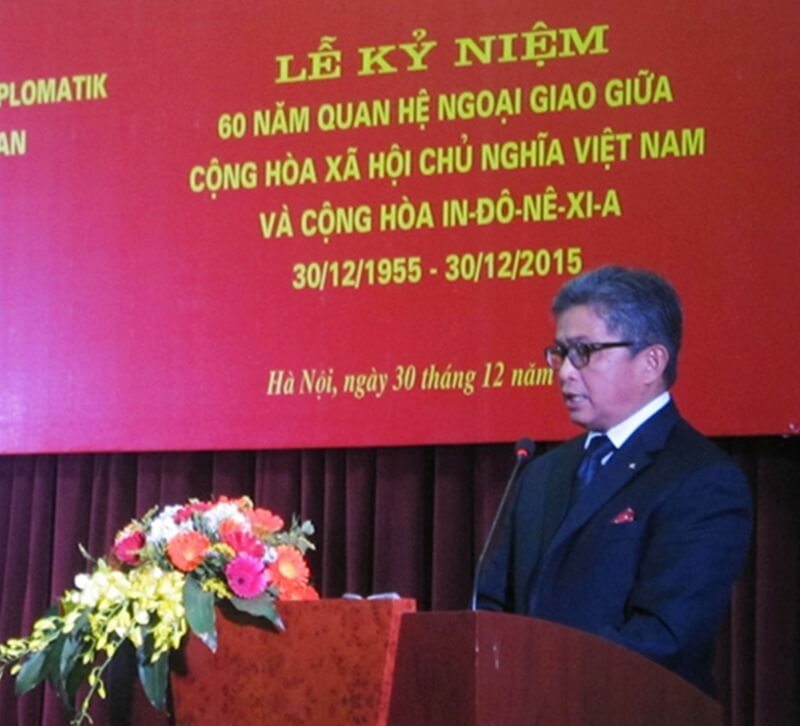 Ambassador Hoang Anh Tuan: Vietnam – Indonesia established diplomatic relations dated 30.12.1955. Development phases undergone 60 years, bilateral relations have developed step embraces all aspects of the field of economics, politics, security and defense, education, .. and the two state has elevated relations from a comprehensive partnership to a strategic partner month 6/2013. Good bilateral relations Vietnam – Indonesia has actively contributed to the development of each country in particular, and for peace and prosperity of the region and the world in general. As well as other bilateral relations, the Vietnam – Indonesia experienced the same ups and downs, but overall bilateral relations graph translational still ahead. Politically the two countries are reliable partners of each other through regular meetings between senior leaders of the two countries, as well as exchange of visits at different levels. 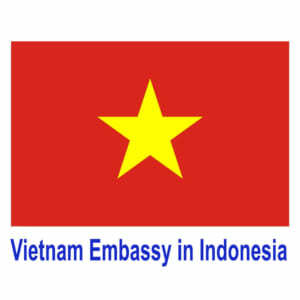 Economically, Indonesia is the second largest economic partner of Vietnam in ASEAN 4 and is one of the largest investors in Vietnam. In the field of security – defense, the two countries have been closely cooperating in the ARF, the ASEAN Defense Ministers Meeting, the ASEAN Defense Ministers Meeting expanded .. In terms of education, there more than 200 students from Vietnam are studying at the University of Indonesia and this number is increasing. For tourism, this is an area development has great potential in the future. Every year tourists Vietnam to Indonesia in about 50,000 and about 80,000 people from Indonesia to Vietnam. Overall, the relationship between Vietnam – Indonesia has grown from a relatively low platform to the strategic partnership, mutual trust, covering all the areas of cooperation and the relationship towards the future . Reporter: According to the Ambassador, the prospects of partnership relations of strategic cooperation between Indonesia and Vietnam will develop like in the future, the two countries will promote the public areas of cooperation? Ambassador Hoang Anh Tuan: The most important point in the relationship between Vietnam – Indonesia are two countries have many common interests and convergence of strategic interests. So far, Vietnam is the first and only one in Indonesia that ASEAN establish strategic partnerships. With Vietnam, the strategic partnership with Indonesia is one of the partner relationship strategy and actually the most important. Vietnam and Indonesia are big countries, with the location and important role in ASEAN, in international relations in East Asia and the strategies of the major countries. It is important that the two countries are keen to maintain peace and stability in the South China Sea and Southeast Asia, the desired resolving disputes in the South China Sea on the basis of international law, the International Convention on the Law of the Sea in 1982, to strictly implement the DOC and towards the early completion of the construction of the Code of conduct in the East sea COC. From an economic perspective, both Vietnam and Indonesia are emerging economies and developing rapidly. Indonesia is a big country with a population of over 250 million people, ranks fourth in the world and the pace of economic development. Vietnam is a country with 90 million inhabitants, has the speed of economic development leading Asia – Pacific and a member of the TPP – the region’s largest free-trade world. Therefore, the potential for economic cooperation between Vietnam and Indonesia is still large and the two countries set a target of raising bilateral trade turnover Vietnam – Indonesia from 5.6 billion in 2014 to $ 10 billion in 2018. Political ties are also strengthening momentum given strategic partnership Vietnam – Indonesia’s further development. Recently, on the sidelines of the ASEAN Summit in Kuala Lumpur 27th (Malaysia) Prime Minister of Vietnam Nguyen Tan Dung and Indonesian President Joko Widodo met and exchanged specific measures included developing bilateral relations a substantive way. The biggest problems between the two countries is the resolution assigned exclusive economic zone (EEZ) and the leaders of the two countries agreed to soon conclude negotiations on this issue in order to create momentum for the development of bilateral relations deepen, more broadly in the future. Reporter: the 60th anniversary of establishing diplomatic relations between the two countries as well as the formation of the ASEAN Community, Ambassador evaluate how about this event and that the impact on relationships cooperation Indonesia – Vietnam? Ambassador Hoang Anh Tuan: This year the two countries Vietnam – Indonesia celebrates 60 years of the relationship, also coincides with the formation of the ASEAN Community. The establishment of the ASEAN community as historical events, is an important milestone marking the growth and development of ASEAN and positive sense, towards multidimensional strategic partnership Vietnam – Indonesia as for ASEAN. And also to see the interactions in the forward direction between Vietnam relations – Indonesia with the development of the ASEAN community after 2015 again. First, it is of vital importance to maintain ASEAN’s solidarity, unity and development of the Association. It is the development of strategic partnerships Vietnam – Indonesia will be a catalyst, encouraging other bilateral relations within ASEAN are tightened and strengthened than before. When this relationship is promoting it helps create relationships interwoven, overlapping help tighten cohesion, solidarity and more consistency in ASEAN. Secondly, both Vietnam and Indonesia are important members of the ASEAN Community. When relations between Vietnam and Indonesia are strengthened and promoted, and the role and credibility of ASEAN in the region and in the international arena are raised, this will have complementary effects, helps elevate the role and strategic significance of the strategic partnership Vietnam – Indonesia in the region and the world. Third, the tightening of bilateral relations between Vietnam and Indonesia in the overall strategy of each member of the community as well as in making ASEAN ASEAN plays a central role in developing the regional structure ASEAN which plays a key role. Fourth, most of all, the creation of community ties and strategic partnership Vietnam – Indonesia suit and serve the national interests of both Indonesia and Vietnam, which is helping to strengthen the internal forces of each country, to help the two countries have external security environment better serve the economic development objectives and enhancing the position of both Vietnam and Indonesia in East Asia and around the world. Therefore, Vietnam and Indonesia all the more motivation to expand and deepen the strategic partnership in the future is important.